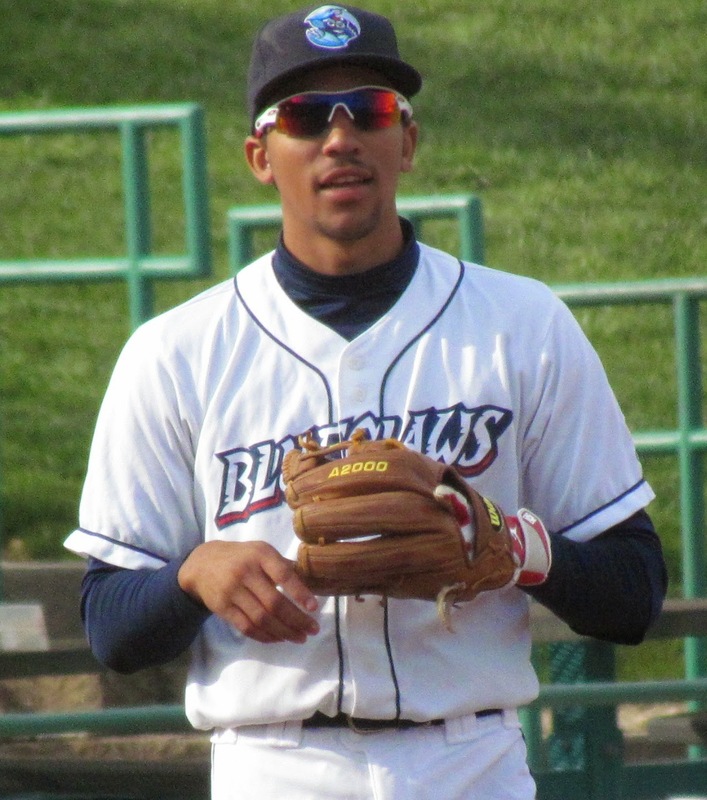 Crawford, 20, is widely considered the Phils’ top prospect after the team’s first round draft pick in 2013 posted a .285/.375/.406 slash line in 123 combined games at Class A Lakewood and Class A Advanced Clearwater last year in his first full pro season. This week the lefty batting shortstop spoke about the start of game action, his double play combo partners, Larry Greene Jr.’s surprise absence from camp, Chase Utley once again plus plenty more. “We played the Blue Jays (on Tuesday) and the Pirates (on Wednesday) and we beat both of them. We started off real well, playing real good team baseball. I went 2-for-3 on Wednesday, so, I’m finally starting to get a feel for live pitching again and everything’s starting to come around. “We always take it serious. Whenever we’re on the field playing a game, we’re out there trying to win. And especially when we’re out there playing against the older squad, it’s a lot of fun. It’s really competitive for us. We’re trying- we’re going out there to beat them. “Chase Utley came to talk to us the other day about hitting, like, what his approaches are, what he thinks in the box in certain situations and stuff. It was good to hear from a lefty’s point of view, too, especially a hitter like him, who can flat out hit. So, it was good to pick up some knowledge from him. “I like Mora and Valentin. They’re both good fielders. I feel comfortable with both of them out there. All of us have good camaraderie out there on the field. They’re both good. They both play hard. They both bust their butts. -Offering a quick remark about the reported retirement of the Phils’ top draft choice from 2011, Larry Greene Jr…. “It caught everybody by surprise. We were just wondering where he was and he didn’t show up. ~Check out J.P.’s previous spring comments by clicking here. Buchanan Poised for Breakout Season?